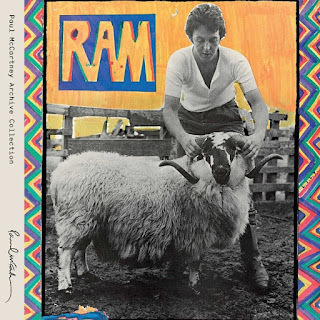 When Paul McCartney’s long playing record Ram came out in 1971, a lot of people hated it. They were especially irritated by the embarrassing sight and sound of Linda McCartney and her wooden, astringent vocals. Why was she on the record anyway: as if it were a primary school music class where everyone has to join in enthusiastically banging tambourines and triangles, even the talentless? She was even accredited fully as co-creator, which no one really believed. I simply dismissed it. It was not The Beatles. I was fed up with it emanating from Brendan’s room in the shared house. After all, didn’t I have more sophisticated tastes? Didn’t I think of myself as a knowledgeable connoisseur of serious music like progressive rock, particularly Jethro Tull who had just released Aqualung? How could the McCartneys’ frivolous and inconsequential warbling possibly compare? I mentioned this recently in commenting on another blog about post-Beatles Paul McCartney. I looked up the lyrics to discover that the actual words are “Live a little” from the track Uncle Albert/Admiral Halsey who “had to have a bath or he couldn’t get to sea” – another misheard lyric, it’s “berth”. One thing led to another and I ended up recently getting the CD as a birthday present (I don’t do streaming). What a revelation! Judging it inferior to Jethro Tull was being Thick as a Brick. 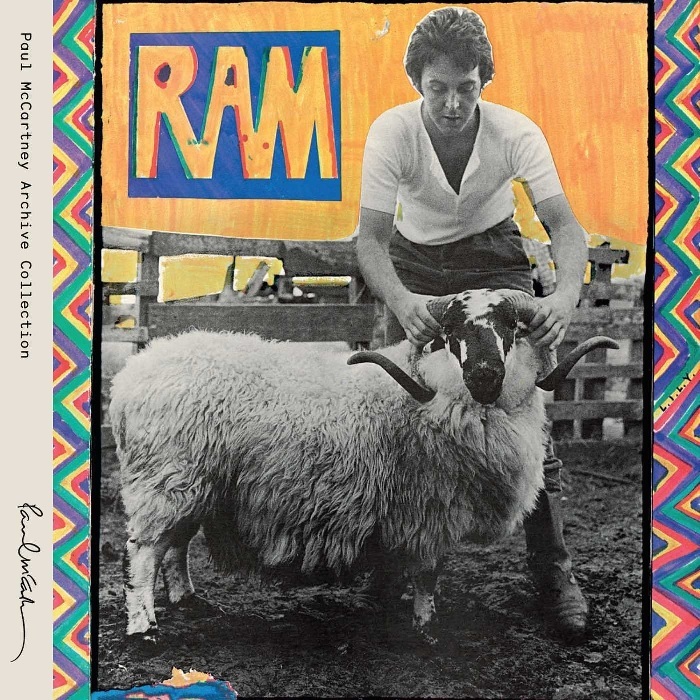 I now think Ram is amongst Paul McCartney’s best and most innovative output: so rich in ideas – melodies, harmonies, arrangements, decorations, quirky bits – almost every part of every track is different. It‘s an amusing, joyful record, a bit late-Beatles, like the brightest parts of Abbey Road and The White Album. Another reviewer describes it as a “domestic-bliss album”. Despite personal and contractual pains in disentangling himself from the Beatles, Paul was now living a contented and enviable lifestyle, very happy with Linda and children in their rural retreat. You hear it throughout. And Linda’s voice is just about OK too, or at least you get used to it. Maybe I liked Ram all along but did not want to admit it.